Battino started out with Sterling Women as a speaker in November, 2012. She began attending the monthly networking functions and, through Kristinia Bourweiri, Sterling Women Founder, met Shateea Holmes, Founder of Sterling Women Manassas. “I met Shateea and fell in love with her gumption, intelligence and personality,” says Battino, who also worked with Holmes on the Loudoun County Chamber of Commerce’s recruiting committee. But those aren’t the only women who impressed Battino. “Through Sterling Women, I have made incredible connections and relationships. I found blog talk radio, Posh Seven Magazine, Shari Goodwin, my business coach, and most recently found my power team to publish my book.” Battino says Val Cavalheri was the photographer for the book, CCS Innovations created the cover and Copy General does the printing, all contacts she might not have met had it not been for Sterling Women. Battino says she was inspired to write the book because of her own divorce. She is now on “a mission” to change how divorce is done in the United States. “I can’t get rid of the messiness of divorce. But we can certainly minimize the drama, trauma, destruction and cost that are part of a contentious divorce,” she says. She wants her clients to thrive as they go through a divorce, not just survive. But Battino also doesn’t want her clients to “end up as another statistic.” She says that second marriages have a 65% divorce rate. Third marriages have a 75% divorce rate. “My clients go on a journey of self-discovery so that if they choose to be in a relationship again in the future, they will call to themselves someone different because they are different,” she says. 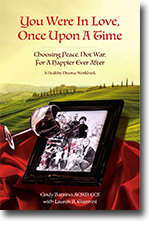 More information about You Were in Love, Once Upon a Time – A Healthy Divorce Workbook can be found on Battino’s website, Transformational Healing. 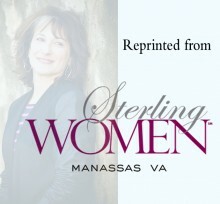 Sterling Women Manassas is a local network of professionals committed to encouraging, supporting, inspiring and strengthening one another. Through events and monthly meetings, Sterling Women Manassas showcases and celebrates exceptional women in the Prince William Area.